In an exclusive interview for International Airport Review at Passenger Terminal Expo 2017, Krishan Tangri, General Manager Assets and Stephen Goodwin, General Manager Operations at Brisbane Airport Corporation speak to our Digital Editor, Roy Manuell about the importance of an airport as a reflection of a city community. You both presented at Passenger Terminal Expo, could you talk me through what your presentations were about? My presentation was on the new runway, and the challenges in constructing, planning and designing and opportunities it brings. The focus was very much on value management, so we were very focused on optimising cost without compromising the level of service, especially around noise management and things like that. So how have you achieved this? Essentially, we’ve achieved this through better planning, more concentrated work with our stakeholders and getting the right people on the job. It’s a mammoth project, so all you can do is break it into more manageable parts and then try to address each of those parts. As with any long project it began with challenges. Firstly, commercial challenges, namely getting the airlines to agree to pay for a portion of the cost to construct (75 per cent of the runway is funded by Brisbane Airport Corporation through retained earnings and equity, with 25 per cent of the cost recouped over a number of years through small increases to passenger charges passed on by the airlines). After that it was about designing the right solution. Moving into the next phase, I think the challenge for us now is to deliver this project under budget and on time, however the success of the project will be dependent on how these runways are received by the community, and this is probably most important aspect. 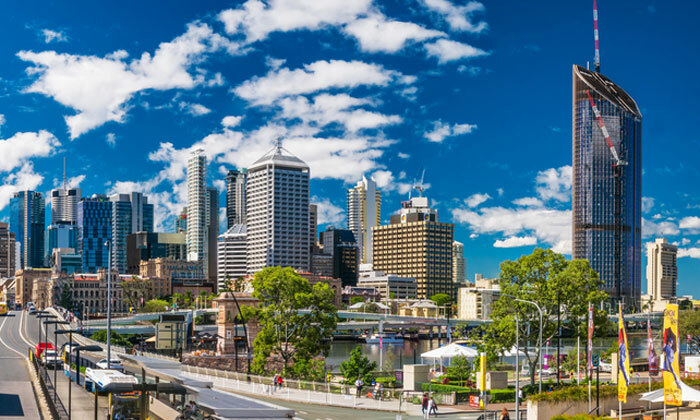 KT: Actually, the Brisbane Airport standard for stakeholder management and community, we like to believe is a good model for the whole of Australia, and we have won many awards for this. SG: I had two presentations, one on capital efficiency and the importance of that in terms of infrastructure and return on your assets. I looked at the benefits of that to both our shareholders and our customers, also explained about what it means and how you get there. The way that we focus on that at Brisbane Airport has led to the winning part of a larger strategy which is about growing the airport and getting more passengers. 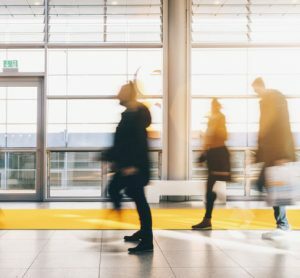 This growth strategy needs strong underpinning principles around return on assets, customer experience, and connectivity in terms of the other businesses in the airport. The question is how to get this balance between the three. My second presentation was about seamless transfer. Everyone’s thinking about how we can create this single expression of people going from one place to another. Brisbane Airport has two terminals, and there’s a distance of approximately 1.5km between the two of them, so it’s a hard process getting people from domestic to international and vice versa. We’ve had much initial discussion about how we could do that, whether it’s better to do it airside or landside. I think it’s going to be a case of trying one of those strategies for a time and then taking a step towards something even better, which might be a mass transfer product between the two. 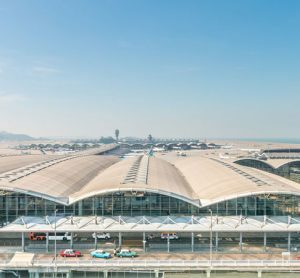 To create this seamless experience and grow sustainably how important is the relationship, or perhaps an improved relationship between the airport and airline? SG: It’s critical. We need to keep communicating; it’s a dialogue. As an airport we need to show that we’ve done our homework, and are able to answer their questions. Airports want to see the value if they’re going to be paying for a service, they want to see how it has been costed, how it’s an effective use of resources. And I think a bit more transparency, a bit more detail, will go far in explaining that to the airlines. KT: The paradigm has shifted, the model is changing. The airports and airlines are getting more commercial and that means both sides are looking at value. 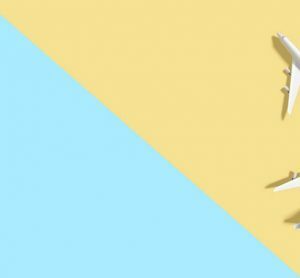 Airlines are coming under a lot of pressure, they face a lot of international competition, and air fares haven’t risen in a long time, so naturally they want, and expect, their suppliers to be able to show and prove the value of a service to them. There’s been a change in technology, there are new ways of doing things now in terms of the deployment of capital and offloading costs and the combination of that value and technology is becoming more and important from all sides. What specifically are you most excited about technologically speaking? KT: I think self-service, automation is quite definitive technologically speaking, it probably has the most far reaching impact on capital solutions. A key theme of the moment is seamless passenger experience; how you can connect the different systems and create a single scheme which takes you through check in, baggage drop, security, everything, and ideally all contactless and without any interventions. Then there’s the big data dilemma, and there are multiple facets of that from analysis of data to integrated airport solutions to operational solutions. Based on real time monitoring of the situation different customer services can be deployed. SG: An airport is such a technological labyrinth. There are three levels consisting of integrated airport, integrated passenger processing and then connectivity to everything else as well. You should be able to buy a ticket which is your token so everyone knows who you are, and there’ll be biometric type points at the airport which confirm your identity and allow you to continue on your journey in a very contactless, seamless experience. 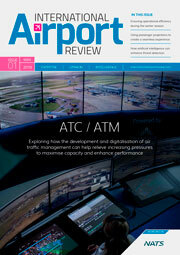 KT: Increased collaboration with airlines and airports is surely the key to achieving this. ATC services, airlines, handlers and airports; previously each party was acting only in their own interests but now there is the realisation that you need that collaboration, and it needn’t be at the risk of compromising commercial interest. SG: We need trust and transparency. At the moment, everyone, particularly government, wants to maintain their own networks because they don’t feel they can share information securely, however the trust that comes from collaboration will ultimately result in a more efficient outcome as a single network with more people on it means your unit price will be less. SG: Most governments are looking for opportunities to save money so we all need to work towards a point where the security of information across those networks can be managed and shared without threat. KT: In Australia, airports are one of the few public assets that are privatised, particularly in terms of transport. Airports are still very much seen as a public asset, so balancing the convenience and needs and expectations of community with the returns of the shareholders is a challenge. With support, I believe we are achieving this balance. Brisbane Airport has been named as the top rated Australian airport for quality of service for the 13th year in a row by the Australian Competition and Consumer Association (ACCC), and have received Skytrax World Airport Awards for the last two years in a row, so we are arguably viewed as one of the most successful airports in Australia by our passengers, while crucially still providing acceptable returns as a business. That is something very unique in Australia in a context where every decision that we make has to tightly review capital deployment or the operating cost, balanced against community expectation and customer services. SG: The only thing that continually comes under scrutiny for us is car parking, and I think that’s because people still have an expectation of this as part of a public asset. They question the prices we charge for parking, not taking into consideration the fact that we’ve privately invested millions of dollars to build that structure and therefore need to get a return. Overall, however, there’s been more successes by far than otherwise would have been possible because the federal government simply wouldn’t have been able to spend or invested the amount of money that private industry has invested as a result of privatisation of airports. KT: We’re probably the only state that has six international airports, and that competition means Brisbane has to compete fiercely for airlines to come to our airport. We have other airports that are less than an hour away from us so we have to invest wisely so that we have a competitive advantage. 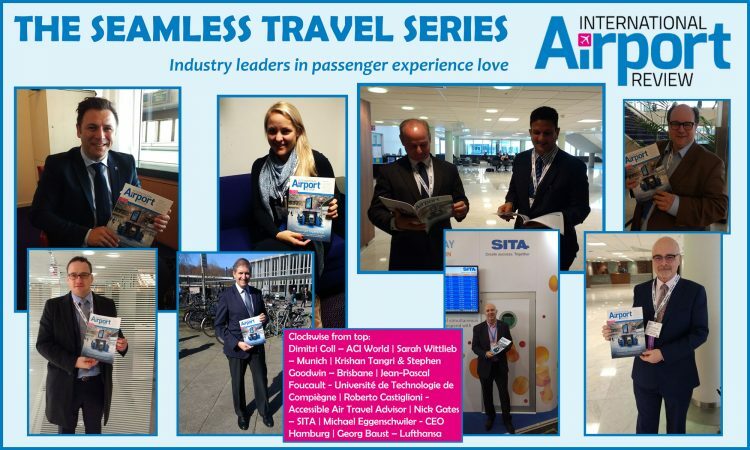 Whether it’s connectivity, whether it’s customer service, we have to continually make conscious decisions which will hopefully make us more attractive to passengers than our competitors. SG: We need a serious point of difference to say come to us rather than them. How does the airport connect with and reflect the city of Brisbane? 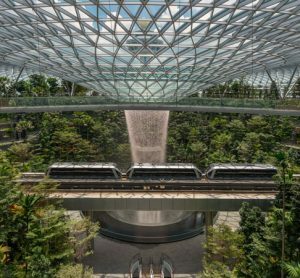 SG: We’ve been particular in our use of materials, the openness of the terminal, even the feel of it. We’ve gone into the city and found things that are specifically and identifiably Brisbane and brought them into the terminal, so for example there’s the Brisbane tuff which is a stone that’s found in the city centre and can be seen in many of Brisbane’s earliest buildings. KT: We’ve integrated the design of the airport with the city, we have wide open spaces emphasised by water features and greenery, architecture and materials. It’s going back to the idea of creating a brand of the airport. Do you think it’s easier for an airline to create this brand than for an airport? SG: I do, airlines spend far more than an airport on marketing because they’re a business to consumer and therefore they need to spend that money. An aircraft is essentially a flying billboard. Particularly in Australia, we are seeing airlines moving away from owning terminals, and instead focusing more on their aircraft, their passengers, their product, the things that make them unique. They want space in our terminal and they want us to provide the ability for somebody to see their brand in a common user type product. Getting ‘brand Brisbane Airport’ out there is harder because people will only come to us to fly, not in passing. With something such as car parking we can be very direct because its business to consumer, it’s easy for our brand to be recognised, but everything else is orientated around the passengers purpose to fly. We only ‘have’ passengers for part of the time. Walking through our infrastructure, that’s us, that’s an expression of who we are, but this is essentially only the ‘middle’ part of a passenger’s experience, either side of that are aspects all tied in with the airline. KT: If there is an incident that happens at an airport, however, that’s when we’re known, and we’ve got to try to turn this around. SG: We have a large ambassador group made up of volunteers, which is proving to be an exceptionally great thing for our brand. People are beginning to know and express their appreciation of those ambassadors when they go to Brisbane Airport. In essence, what they’re doing is helping passengers to navigate through the airport, but they’re consistently greeting those passengers with a smile, with a hello and a goodbye, and giving a personal touch to the airport. Imagine we’re having this conversation in a years’ time, what do you think will have changed within the industry in regards to passenger experience? KT: My feeling is that there is more and more of a push towards having an integrated system for passengers in terms of customer service. Nobody has cracked it yet, because there are so many systems and having one system that can embody all of them with issues like security and privacy, and resolving the issue of trust surrounding sharing data is a very big challenge, but that’s where we are going ultimately.